Its name was inspired on the name of the Aztec god of rain. 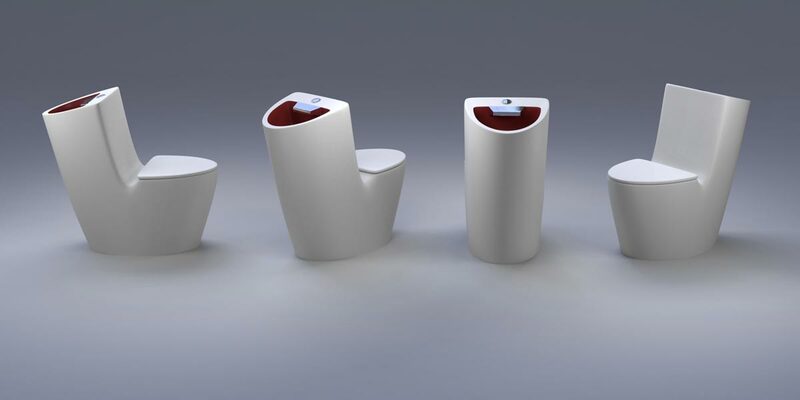 This concept integrates aesthetically two of the basic three aspects a bathroom should have, offering a better water usage in order for it to function. 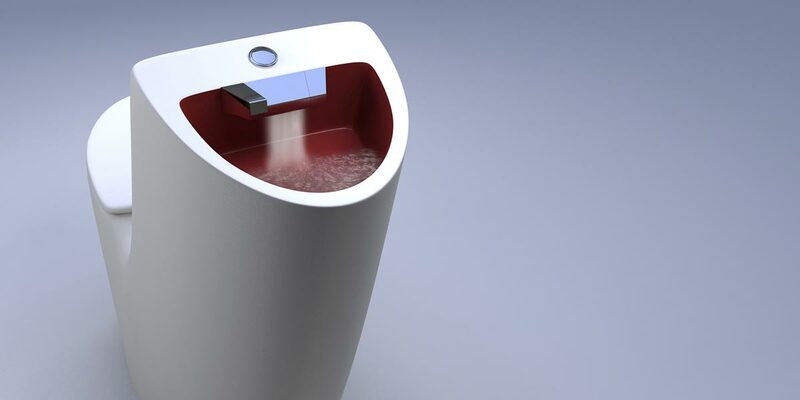 Here at the Ariel Rojo Design Studio we made a great variation of a current design; we connected a sink to the tank of a toilet installed below, thus saving over 83% of the usual water discharge, since the same water we use to wash our hands with would be flushed down the toilet. 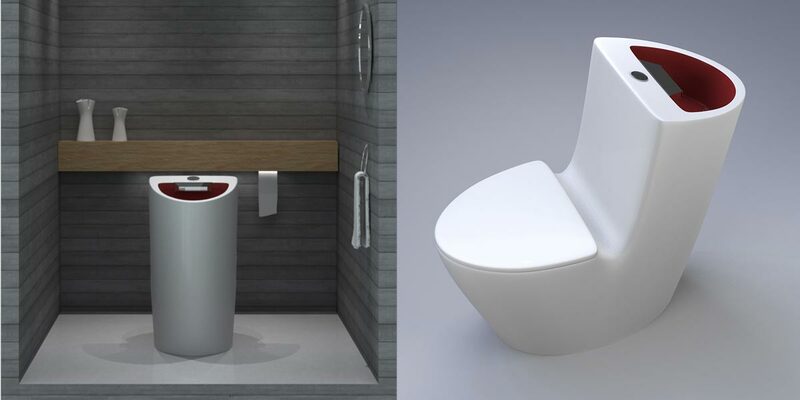 Both the design and the tilt it has allow us to seek new proposals for bathroom designs, because every fixture could just be installed directly on the floor. The constant troubles of cleaning behind the toilet became a thing of the past, since every area around the fixture is easily accessible. Its patent is pending and we are looking for a producer that is up for a challenge.